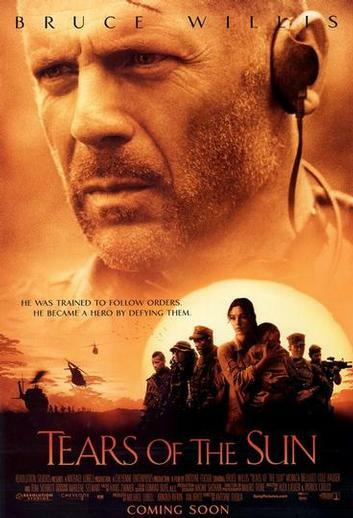 Brief Synopsis – An squad of US special forces soldiers are sent into Nigeria following a recent coup in order to save a doctor with American Citizenship who is trapped there. My Take on it – This is a film that suffers from an interesting idea that just doesn’t manage to be told in a way that makes the viewer care about what happens. The characters are feel very stereotypical and seem like typical caricatures that are usually found in such kind of films and lack any real kind of “meat”. The plot points in the film follow a typical pattern and too much of this film is extremely predictable because they don’t even try to do anything unique. Bruce Willis, who headlines this film is extremely miscast in this role and everything he does or says just don’t work in order to help the movie seem even better in any way, shape or form. The story itself drags on too much and gets pretty boring especially when it starts spewing out dialogue that is exteremely preachy and doesn’t help make this feel unique at all. Bottom Line – Interesting idea that just doesn’t work very well. The characters are all very stereotypical and none of them really feel unique to this kind of story. The plot points are pretty predictable and follow a typical pattern tat doesn’t allow for much deviation. The cast s headlined by Willis, but he doesn’t really fit well into this kind of story and feels very miscast in this kind of role. The story drags on too much and is actually quite boring to try and follow because nothing really interesting happens along the way..